Usually lava cakes are one dessert option that definitely packs on the pounds, as they are loaded with calories and have an extremely high sugar content. That’s probably the only downside to lava cakes though because they’re worth every bite. However, for paleo dieters, there are certain dietary substitutions that must be made. Using cacao powder and three ounces of paleo approved dark chocolate, it’s still possible to enjoy a warm lava cake fresh out of the oven. And the best part of it all is that instead of being loaded with sugar, they strike an amazing balance between nutritious and delicious. Unlike milk chocolate, there are many health benefits to be found in cacao powder and dark chocolate. They’re both fantastic sources of antioxidants which provide protection from harmful free radical damage to your cells, in turn helping to prevent cardiovascular diseases and even cancer. (1)(2) They also provide a hefty dose of vitamins, minerals, and dietary fiber. As you can see, these lava cakes are something that you can enjoy completely guilt-free with the knowledge that they actually promote overall health and longevity and offer protection from disease. That’s the best kind of dessert you could ever ask for. Each lava cake contains 1 whole egg, so aside from having several nutritional benefits, it’s actually a well-balanced meal of protein, carbohydrates and fats. Going paleo doesn’t have to mean you can no longer enjoy some of your favorite guilty pleasure foods. With just the right twist to the ingredients, you can still enjoy all of your favorite dishes, only with the added benefit of no longer feeling guilty about it. 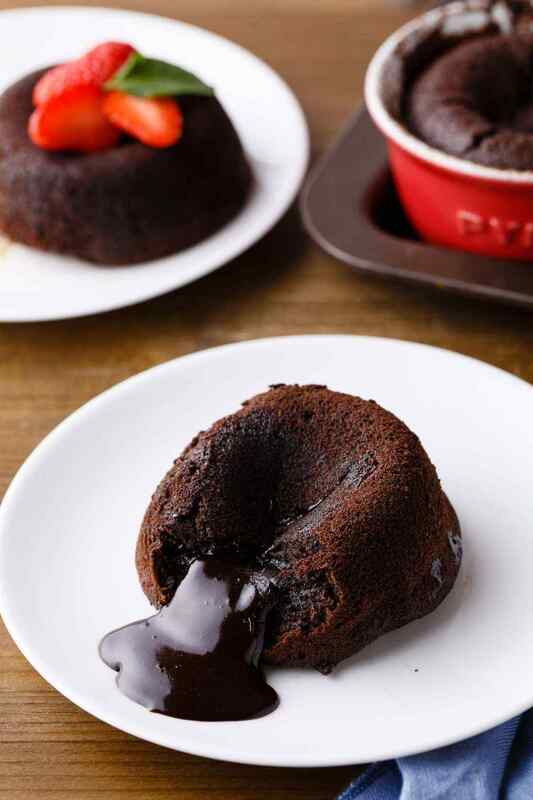 These lava cakes are a prime example of that, as instead of giving you a huge sugar high and accompanying crash, they’ll have you feeling healthy and energized instead. P.S. 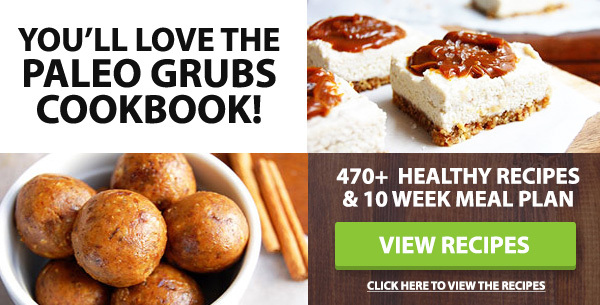 – I know there are all kinds of chocolate lovers out there who are reading this, and since I’m one of them as well, I wanted to share this huge list of 41 of our best paleo chocolate recipes of all time. Featuring everything from cakes to milkshakes and smoothies, you’re sure to find something to satisfy that sweet tooth. Previous articleMedical News Today: Does coconut oil promote weight loss?